The history of red lipstick is a meandering chronicle of challenging supremacy, equating power and even facing death as a consequence. From a symbol of aristocracy to being synonymous with immorality by the church, it might be hard for us 21st century mortals to believe that this scarlet phenomenon survived a string of dark controversies and mass hatred. Think of it like a tough childhood that survived multiple trials and tribulations to reach an illustrious adolescence that’s now pretty much unshakeable. From crushed rubies and beetle paste to the infamous ‘Kiss of death’, here’s the compelling story of the poster child of controversial societal stigmas of the early 1600s. A success story worth telling. A past that’s nearly 5000 years deep. So, what is the truth behind the rise of this immortal power? The red lipstick. There was something surreal in learning that the universally cherished crimson that’s now a permanent fixture in every woman’s handbag had a rather mystical birth. Red lipstick was invented in the historical region of southern Mesopotamia by the Sumerians. It all started with a concoction of crushed gemstones and white lead (yes, that toxic metal). 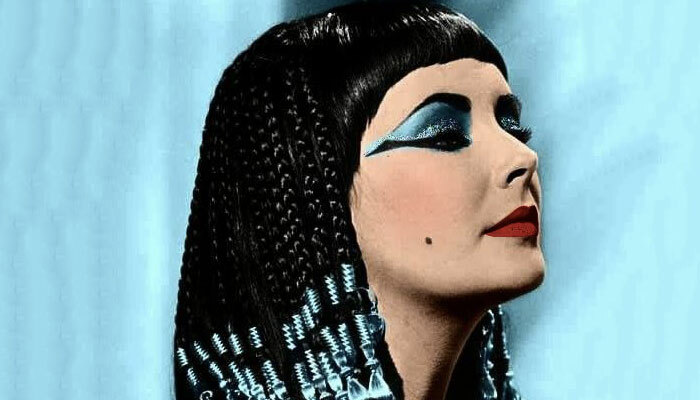 The queen of ancient Egypt famed for her undeniable beauty and intellect, Cleopatra also played a significant role in the ascent of the red lip paint. 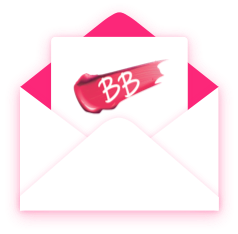 She allegedly requested her little entourage to hunt for flushed beetles and red ochre and crush them into a paste to create her own signature rouge. It’s fascinating to know that this organic but short-lived formula could have possibly commenced the notion of ‘red pigment equals power’. During the middle ages the Church strongly declared that painting one's face was a challenge to God and his workmanship. They hinted about a connection with the devil that ultimately resulted in a strict ban of its use. However, whilst the relationship between the lipstick and the church still remained volatile, Elizabeth l turned a cold shoulder to this chaotic disagreement. She continued to cake up her lips every single day with this lethal preparation to only have the thirst for beauty turn against her. Her obsession with red lips allegedly resulted in her tragic death, which the world now refers to as the ‘Kiss of death’. Isn’t it unsettling to note that the OG red lipstick formula was actually pretty dangerous to begin with? At the cusp of the 18th century, the idea of parading a ruby pout decided to take an orthodox route. Women and young girls would secretly wear red lipstick in the privacy of their homes fearing societal judgement and the risk of being labeled women of ill-repute. It was considered theatrical and only reserved for the stage or courtesans, otherwise considered unnatural and bizarre. By then, red lipstick formulas moved from pots and paints to paper tubes and tinted sheets.The world was still not ready for this new kid on the block. It was up to suffragettes to bring red lipstick centerstage with their first, and most famous, public demonstration on the streets of New York during the early 19th century. Elizabeth Arden would visit the streets herself and hand out red lipsticks to marching suffragettes fighting for women’s right to vote. After centuries of patriarchy and women relishing the color rogue in secrecy, there was finally a ray of hope. This fearless and indeed intelligent strategy by Arden threw a spotlight on the power of the red lipstick that became a radical symbol of feminism and rebellion. This movement paved the path for Hollywood icons Marilyn Monroe and Elizabeth Taylor all the way to Madonna and now Taylor Swift to keep the flag waving high. This cosmetic invention survived and still reigns as the highest selling makeup powerhouse that it is today. Can you tell me the best red lipstick?